I renamed her Pye. She was supposed to be one of my birthday presents this year. And since my birthday is not until June, that plan obviously didn't pan out for my partner. 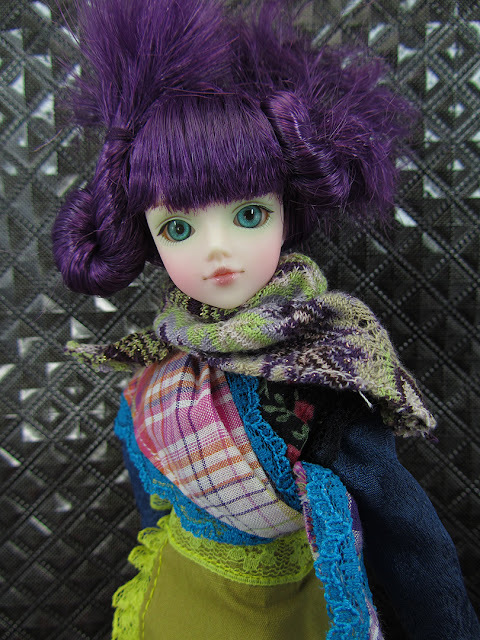 Love this doll's purplish hair and aqua-colored eyes. Not to mention, that hair style is funky. Of course, I will probably end up taking that "do" down in the future but right now, I'm just enjoying its funkiness. She's sooo cute! I love dolls with colored hair! 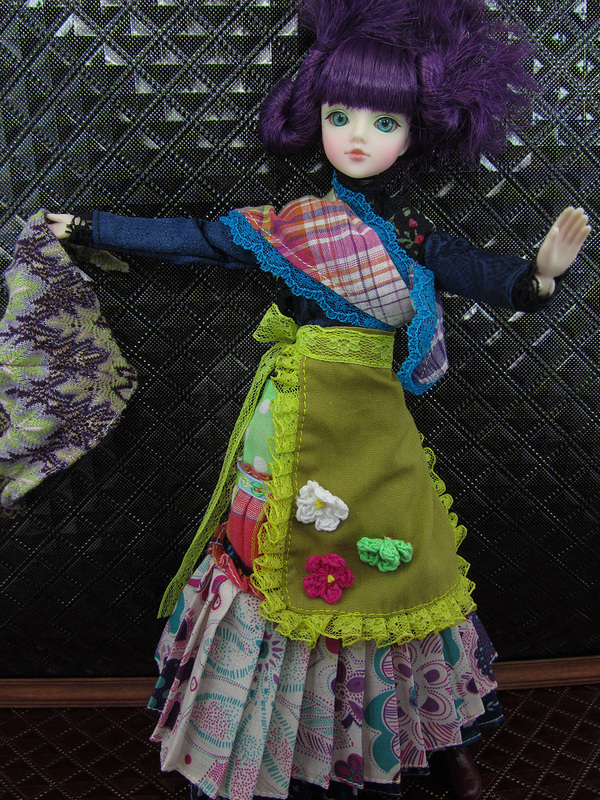 Hello from Spain: clothes and purple hair is the best of this doll. An early birthday present. Keep in touch. Oh wow! She is just so much fun!!! I love the color combos going on here.